Our exquisite Memorial Flag Cases that can hold the funeral flag will make a perfect choice to honor the departed or for a mantel display. 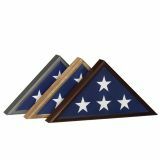 Made in USA, our Memorial Flag Cases are available in several wood finishes to match your décor including walnut with an heirloom finish, natural oak, maple with a cherry finish and more. The glass front is embossed with the Great Seal of the United States in gold. The case opens from the front with a hinged lid, has a hidden magnetic closure and integrated dust seal to best preserve your flag. 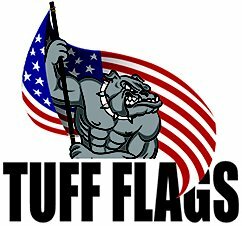 Shop from our complete line of Memorial Flag Cases right away and get the best prices, quick shipping and much more! Celebrate and honor your veteran with these elegant memorial flag cases that can hold a standard ceremonial flag. Mount it on the wall or set it on a table or bookshelf to make a great symbol of your military pride. These 3-sided shadow boxes will conjure images of memorial tributes and celebrations of service and sacrifice. Offered in a range of finishes, our flag cases are designed to hold folded burial or remembrance standards. 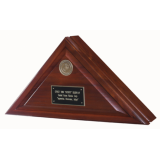 Our elegant solid wood 3-sided Memorial Flag Cases will make perfect heirlooms and historical memorabilia alike. Built to last and look elegant, these flag cases will offer a lasting tribute to valued sacrifices, public service, or special moments. 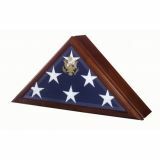 Browse our collection of Memorial Flag Cases to choose a model that matches your needs. Not sure which model to buy? 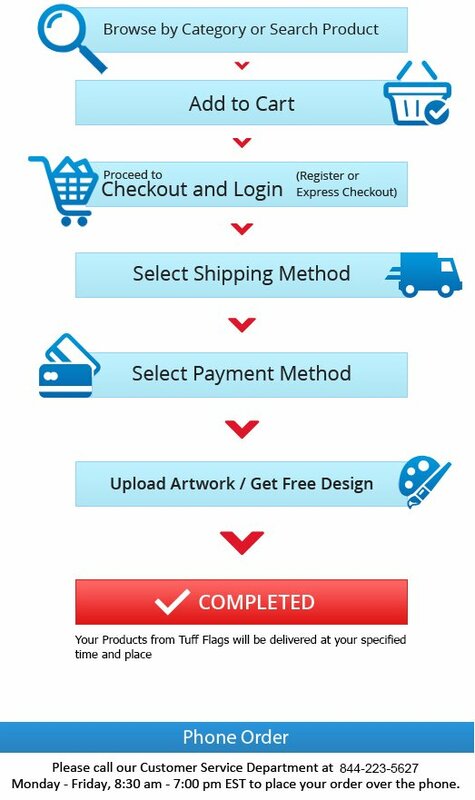 Call us at our toll free number (888) 287-3524 or email us at customercare@tuffflags.com and we can help you to choose the best model.